Grown by local Palouse farmers. Processed by Palouse Grain Growers, Inc., Palouse, WA. 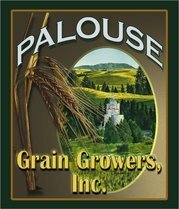 Please contact us at 800-322-1621 or grain@palouse.com for wholesale prices for full truckload or LTL quantities packaged in 25, 50 or 100 pound bags; 2,000 pound totes; or bulk shipment. Available in Regular, Coarse and Fine Grinds. Specification sheets available on request. © Copyright 2016 Palouse Grain Growers, Inc.